Normally it would be very difficult to get a picture of a Barred Owl. However, I was able to photograph this beauty up close because he is in his own private refuge shelter at Chickasaw State Park. Due to an injury that has rendered him blind in one eye, he will live the rest of his life under the care and protection of the park. He was actually very fortunate that they found him. Owls rely on their sight, as well as their hearing, to hunt. Without his eyesight, he would most likely become prey himself, even if he survived the initial injury. He is quite a beautiful owl even with his obvious eye injury. Vocal Owls often referred to as "hoot owls"
Lives in the woods, nests in trees. Has been known to take over abandoned hawk or crow nests. Eats frankly anything smaller than itself. Rodents, birds, amphibians, reptiles, and invertebrates. Body Length: Up to 20"
For nearly 50 years, humans have laid the blame of the reduced Spotted Owl species (not classified as endangered) at the talons of the Barred Owl. There are several "experiments" taking place now to see if the Barred Owl is killed in certain areas IF the Spotted Owl will return and survive there. A couple of things to keep in mind as you ponder this "experiment". The Barred Owl is killed by the Great Horned Owl in nature. 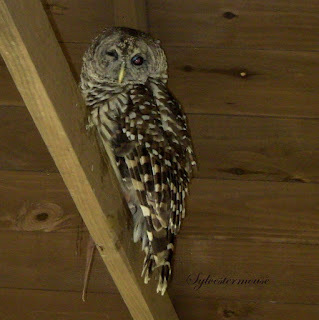 The Barred Owl is the medium sized owl with the Spotted Owl being smaller and the Great Horned Owl being larger. Also, all wildlife is being forced to move to new territories as humans continue to reduce the forest and natural habitat. Should we really be killing one species as it simply moves to survive because humans encroach upon it's native territory? If we deplete the Barred Owl species, will the Great Horned Owl then seek a new food source in the Spotted Owl? Will we then target the Great Horned Owl? 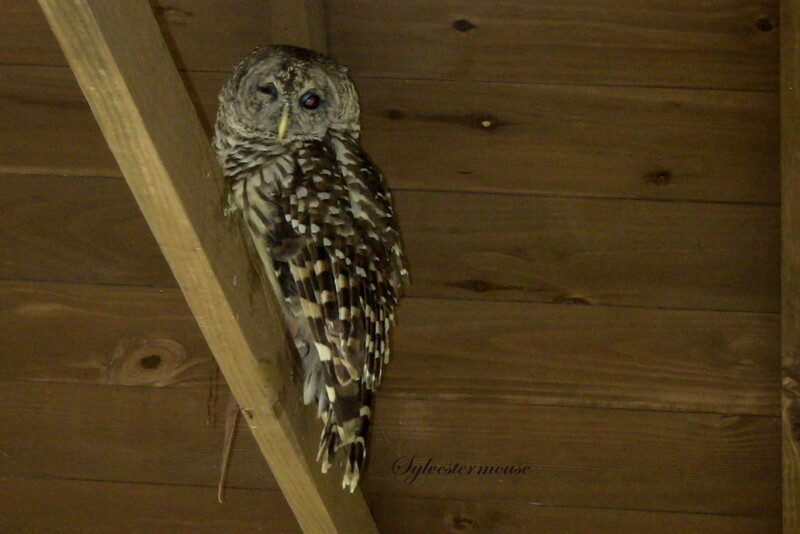 Also, what is the benefit of the Spotted Owl over the Barred Owl in nature? Get Your Own Barred Owl - And Protect Him! His markings are beautiful. Nature is amazing! I believe in the natural cycle of life and the food chain is the way God intended it to be. Experiments to kill any wildlife in my opinion is cruel and ridiculous. Beautiful owl. How nice that this blinded owl has been taken in by a shelter. Your picture of him is wonderful. I stand on the side of 'let nature take it's course' in the 'experiments' going on. 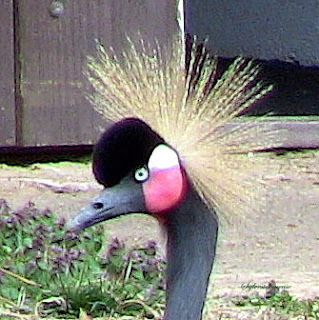 The animal kingdom managed its species just fine before US humans came along! I sometimes hear an owl all through the night up at The Shack. But I haven't been able to identify it yet.